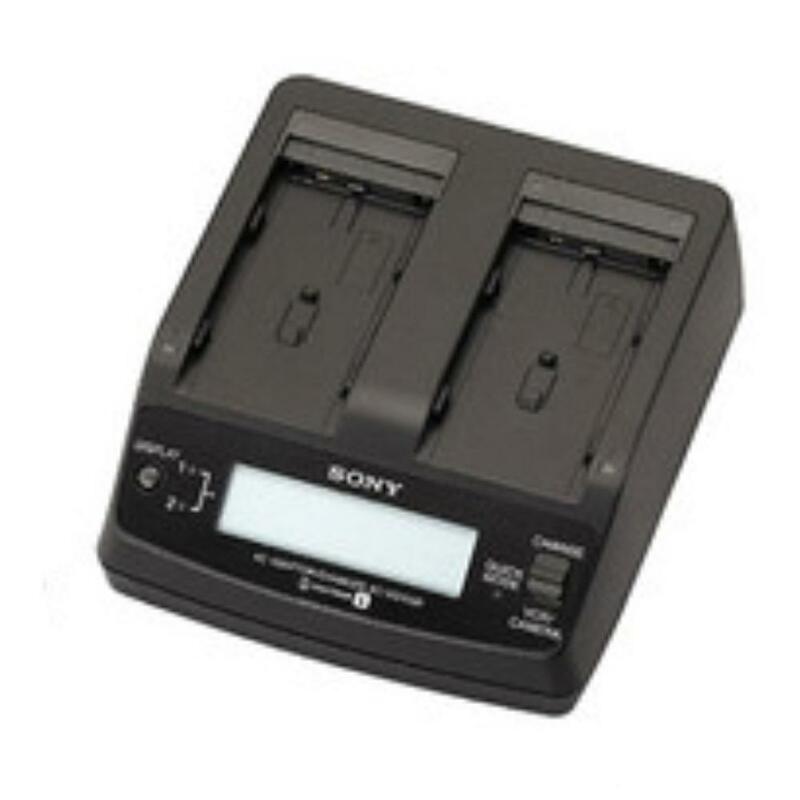 The Sony AC Adapter and Twin Battery Charger is a power adapter that doubles as a two-battery charger for the following Sony batteries: NP-F570, NP-F970, NP-F770 . The front LCD display conveniently indicates: battery life, charging time, total charging time, last use year and month and total number of charging cycles. Note: This charger is only compatible with the NP-F570, the Sony NP-F970 or the Sony NP-F770 batteries. • Dimensions: 4.8 x 2.1 x 5.3"